There are two main concerns about your dorm room when you're planning your college dorm checklist. First, you want the best dorm room decor you can have. Second, you want to protect your dorm items from damage, both your dorm essentials and the college provided ones. You may have heard about damage fines for damaged college provided dorm items and you know you want to avoid them. Other than your dorm bed, the area in your dorm room where you're going to be spending the most time is your dorm desk. You want to make sure you protect your dorm desk from gathering any more scratches and dents - it's already going to have some from previous college students. 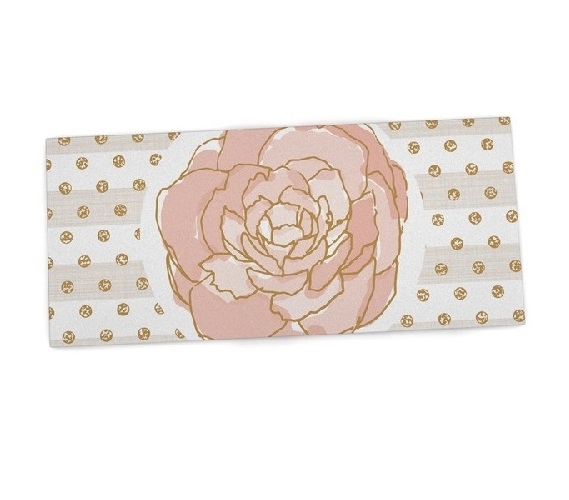 You can protect your dorm desk with our Flower Watercolors Desk Mat while adding to your dorm room decor! This dorm essentials item can cover up the scratches and dents on your dorm desk that could detract from dorm room decor and is also indent, scratch and stain resistant so you don't have to worry about damaging this dorm necessities item while protecting your college dorm desk. It isn't just going to add to your dorm room decorations and protect your dorm desk - it is also going to make your dorm desk more comfortable to work and write on. Made of soft non-skid neoprene, this college supplies item will provide comfortable cushioning on your desk to reduce the soreness and tired feelings your hand and arm may feel when you've been writing a lot. This gorgeous dorm item features a sketched watercolor light pink rose in the center with soft gray stripes and pink circles to the side. 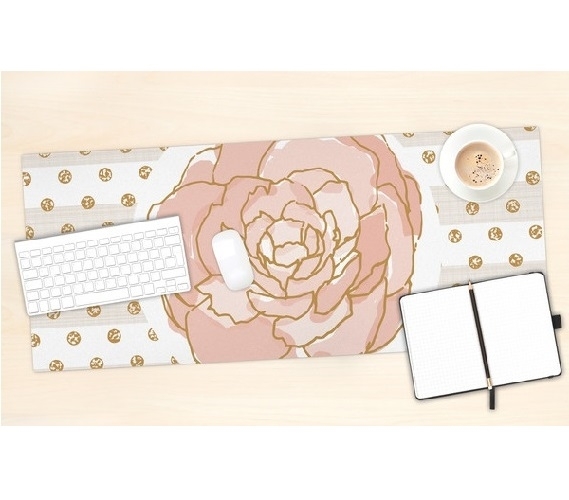 Make your dorm desk be a part of your dorm room decorations with our Flower Watercolors Dorm Desk Mat!